I used the fabulous KGC stacked stitched rectangles and cut the largest rectangle from white cardstock. I then stamped these beautiful images from the vintage tea clear stamp set using Copic friendly ink (simon says stamp intense black). I stamped the cup then masked the image to stamp the teapot behind the cup. I colored all of the images with my Copic markers. Then it was time for the fun details. I went a little heavy on the little finishing touches since I was planning on this to be just a simple one layer greeting card. I added some metallic accents using my Sakura metallic and Stardust gelly roll pens. Lastly, using a fine tip black pen I went over all of the stamped black lines for the whole card. I know this seems like a tedious and unneeded step however, I assure you - it makes a HUGE difference and was totally worth the time! 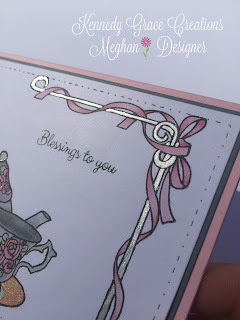 Thanks for stopping by to view my Vintage Tea Blessings Card! Thank you so much Ann! Hay there! Let's head to the farm and the countryside this month! We are showcasing many wonderful and fun farm critters and lifestyles with our super cute kit this month! So jump on the hay wagon and travel along to all the wonderful blogs to see what they have cooked up in our country kitchen today to inspire you and knock your socks off! Head over to the Flavor of the Month page and grab yourself a kit or a subscription today! Thanks for stopping in and ya'll come back now, ya hear! Make sure you enter that Rafflecopter for a chance to win the prize for this month. https://scrappingforless.com/flavor-of-the-month/ Hi there crafty friends, I am super excited to be a guest designer this month for one of my favorite people! Teresa at Scrapping for Less! I just love their kits. I have created two super cute cards for you today. I hope you enjoy! Be sure to head over to their store and pick up one of these AMAZING CARD KITS! New Release and blog hop! 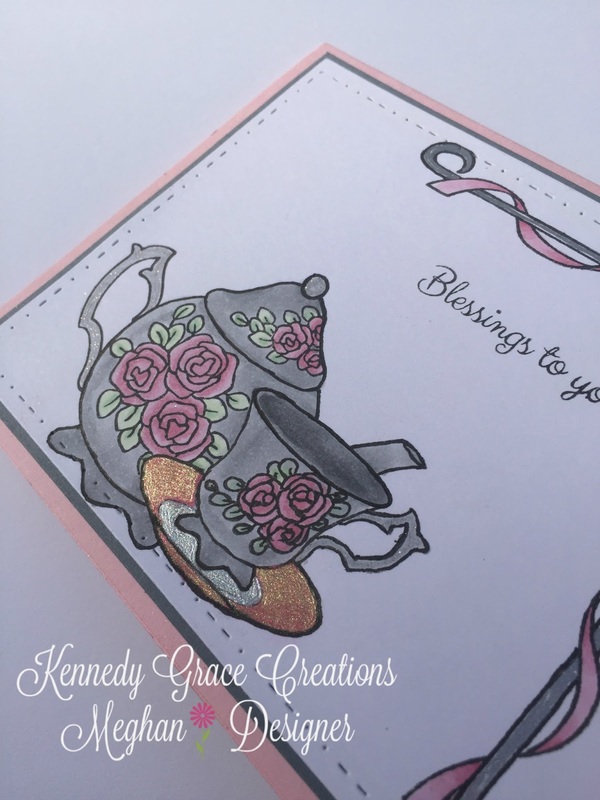 Good Morning Crafty Friends and Welcome to Kennedy Grace Creations September Blog Hop! We are so happy you have stopped by and joined us for this very special event! Our newest release of Stamp and Sequins is now live and available for purchase in the store! My card is pretty simple. 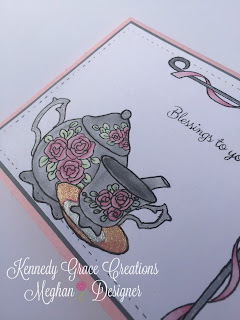 I use the Kindness Medley stamp set and heat embossed it with silver embossing powder on some Canson XL watercolor paper. Used my Zig markers to color the flowers in shades of pink. Sprinkled a few sequins about for a bit of sparkle. We will be giving away a prize package to one luckywinner. All you have to do is join us for hop and leave a comment on each project. The more you comment the more chances you have to win!! Winner will be announced on Monday. 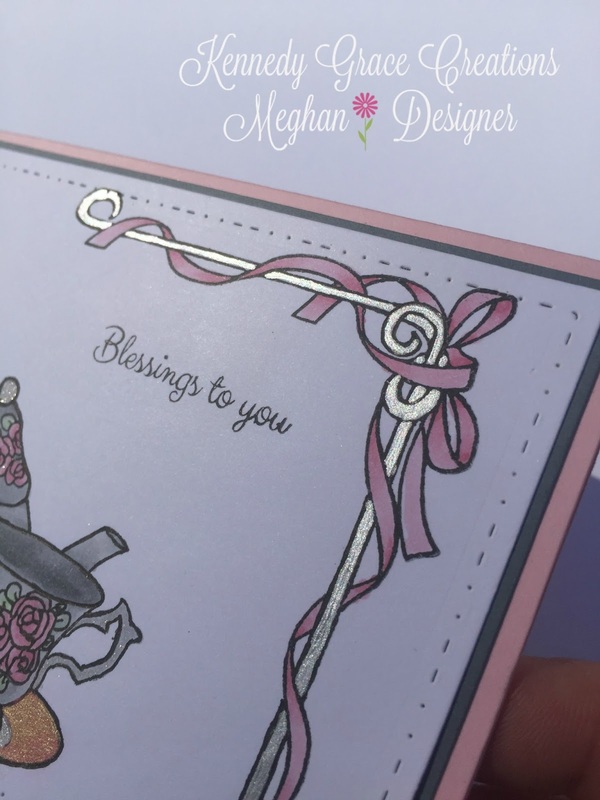 Hello Crafty and Cardmaking Friends! Kennedy Grace Creations is super excited to announce our second ever Design Team (DT) Call!!! We are looking for crafty DT members that are creative, kind, reliable, energetic, hardworking and passionate about stamping, diecutting, cardmaking & paper crafting! Must also be active on various social media sites (FB and/or IG) and have a current crafty blog. The DT members will be asked to create three projects per month. 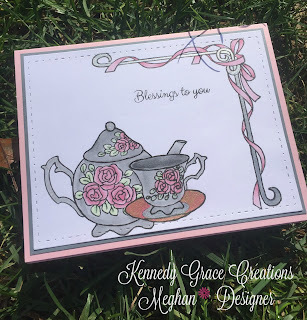 Products must showcase the Kennedy Grace product line and creations can be any sort of paper craft. I.e. ; handmade cards, postcards, albums, journals, boxes, etc. • Have the ability to meet tri-monthly deadlines.